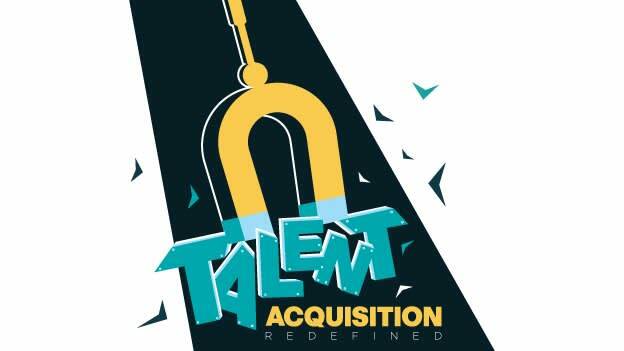 The term ‘Talent Acquisition’ has extended to realms beyond just getting the right talent. It is today about the long-term impact of the talent you hire and involves novel approaches that the organization employs to manage that talent. Today, talent acquisition leaders need to approach this entire gamut of dynamics and need to be savvy enough to convince the CHRO and the CFO on the math, more than ever. With the business world in a state of constant flux, the only differentiator between success and failure is the ability of an organization to acquire and manage its talent effectively and efficiently. But this is a big challenge. Today is the day and age where the best of the talent is prepared to create their own plans, follow their own crafted career paths, and take on opportunities irrespective of where they come from and who offers it to them in terms of demographics, position, challenges or employers. With rampant global shifts, economic fluctuations and explosive market changes constantly impacting the supply and demand of talent, acquiring the best talent will get more difficult in the coming days. For the workforce that has Gen Y and is all set to include Gen Z, acquiring the best talent is and will be the most essential and tactical tool. For the top business leaders, access to the best talent is a challenge that has continued to affect business outcomes. With CEOs who now believe that the right talent is the most critical factor for their business growth, the imperative of revisiting and revamping their talent acquisition and management strategies has taken a priority. The war for talent is far from over. Organizations are competing with each other to acquire talent on a new battlefront that has been molded by social media, talent networks, employment brands and transforming career opportunities. Organizations today are aggressively approaching branding strategies, and are increasingly utilizing data and analytics to acquire the best talent in terms of quality. With rapidly evolving talent demands and the need to upkeep with the dynamics of the talent acquisition, companies that are not able to adapt to such forces usually sit at the receiving end of the spectrum. Thus the need for companies to revisit and re-invest in their end-to-end talent acquisition programs is imperative. This is the new era for talent management and acquisition. From enhanced diversity initiatives, to unique ways of candidate assessments and changes to benefits and Rewards and Recognition, organizations are actively transforming and devising unique practices to manage talent. In order to facilitate discussion of such aspects, People Matters organized the 3rd edition of the TA Leadership League Awards to recognize the various recruitment best practices in a dynamic scenario like today - practices that are inculcated in the system to help materialize the effectiveness of HR.TA Awards saw participation of more than 130 companies, out of which eight companies won across eight diverse categories. This was a four-month long process, facilitated in partnership with Deloitte, where 132 applications were shortlisted on the basis of their best practices, by a seven member jury. The shortlisted 21 finalists in the seven categories (exclusive of Most Popular) presented their company’s best practices as a case for selection to the jury on the eve of the awards ceremony, which was followed by a Q&A session. After deliberation and calibrating the performance, the jury circled on the winners for every category, who were all awarded. Let’s take a look some of the organizations that have the best practices in the industry that are creating HR solutions for business problems in the recruitment space.